Sophisticated yet simple security for your desktop environment. 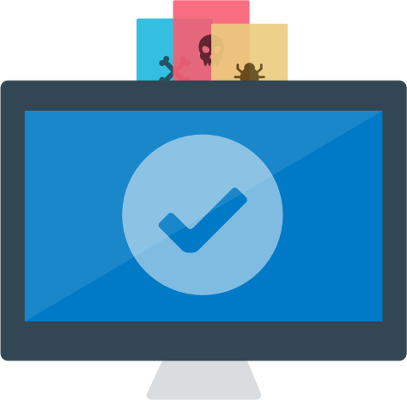 Sophos Endpoint Protection goes far beyond signature-based prevention of known malware. It correlates suspicious behaviors and activities using real-time threat intelligence from SophosLabs. From malicious URLs to web exploit code, unexpected system changes to command-and-control traffic, we'll connect the dots so your endpoints and data are protected. The result is fewer infected computers and better protection against attacks and data breaches. Sophos Endpoint Protection is continually tuned for the best performance. The lightweight agent keeps users secure without slowing them down. Protection updates are small - typically under 30 KB - so updates are easy on your network and your endpoints. "We have found the Sophos endpoint solutions to be easy, smooth and consistent. Having Sophos deployed has increased our security posture ten-fold." Server Operating Systems are not covered by Central Endpoint or Central Intercept X. Central Intercept X Advanced also includes all Intercept X features. Optionally, you can add Intercept X if you manage your endpoints through Sophos Central, or you can add Endpoint Exploit Prevention if you're deploying Enterprise console. Both options add CryptoGuard anti-ransomware and exploit technique mitigations. Additionally, Intercept X includes Root Cause Analysis attack visualization. Security Heartbeat functionality is available when Cloud Endpoint Advanced is used in conjunction with one of the following Sophos Firewall subscriptions - Network Protection, FullGuard or EnterpriseGuard. For more than 1,000 Users for 1 - 3 Years, please use Quote Request Form!